Many companies with specialized requirements (particularly for specialty IT personnel) can tell you that even during the worst of the last recession, finding, hiring, and retaining top talent was a big challenge. Whatever condition the overall employment market, avoiding hiring mistakes is absolutely critical for most professional positions because of the costs involved. The Chartered Institute of Personnel and Development (CIPD) estimates that a single bad hiring decision can cost a business up to 2.5 time the job’s annual salary due to the costs associated with recruiting, replacement, and onboarding. Many companies use workflow software to create tailored automated workflows for the recruiting process. This way no critical steps are skipped, excellent communication is enabled, and the entire hiring process can move forward with confidence. Here’s how workflow management software benefits the employee recruiting process. Writing an effective job listing involves more than just listing qualifications and a basic job description. Before creating a job listing, it’s wise to examine the current job market and other comparable businesses in your industry to get an idea of what jobs are in greater supply and what compensation is being offered. Creating an automated workflow can ensure that these steps have been taken, and also ensure that the relevant department heads read and approve of job descriptions before they’re advertised. The last thing you need is an influx of resumes before learning from the department head that a particular certification or qualification is necessary. Using your workflow software to develop a process to sift through resumes or applications and only forward those worthy of short-listing is smart. 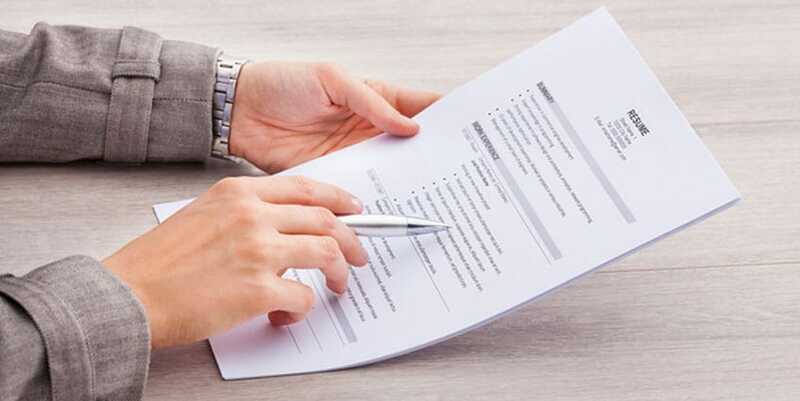 When every resume or application goes through this process, you can be confident you haven’t left any applicant out, and you can also be confident that every candidate goes through the same screening process to determine if they should be brought in for an interview. A standardized screening process is fast, helps ensure your hiring is fair and unbiased, and that you choose interviewees based on consistent requirements. Standardized workflows keep the hiring process efficient and fair. Suppose someone in one of your departments knows someone who would be right for a job and encourages that person to apply. Once the application is in, authorized personnel can track where that application is in the recruiting process at any given time if you have an automated workflow for hiring. Your hiring manager could, for instance, tell the person who referred the applicant that the application has been received and is currently under review before determining if an interview is warranted. If you have an external interface that allows job applicants to check the status of their own application, so much the better. You have written the perfect job ad, interviewed several promising candidates, and have chosen the person you want to hire. As soon as that person accepts your offer of employment, it’s time to start thinking about the new employee onboarding process. The right forms workflow software will ensure that the onboarding process is every bit as efficient and thorough as the recruiting and hiring process. As a result, you can get your new employee up to speed as quickly as possible, so they can reach full productivity sooner. In fact, you may be able to create new employee accounts online, so that they can log in and begin filling out relevant forms before their first day at work. PerfectForms is the workflow form creation software that empowers users with the flexibility and capability they need to create automated workflows for countless business applications, including recruiting, hiring, and onboarding. With its intuitive interface, non-technical users can create online forms and workflows, test them out, and take them live in record time. PerfectForms users have put PerfectForms to work creating recruiting and hiring workflows, HR workflows, IT service workflows, and innumerable other workflows that simply make businesses run better. We invite you to watch our demo video and see for yourself how powerful and usable PerfectForms is for businesses of any size, in any industry. This entry was posted on Monday, October 30th, 2017 at 8:00 am	and is filed under Workflow. You can follow any responses to this entry through the RSS 2.0 feed.